Baal HaSulam, “Matan Torah” (The Giving of the Torah): Now here opens before us a door to understand the source of all the pleasures and pains in our world. Since the Creator is the root of His creations, we feel all that exists in Him and extends to us directly from Him as pleasant and delightful, because our nature is close to our root. And everything that is not in Him, and does not extend to us directly from Him, but contradicts Creation itself, will be against our nature and difficult for us to tolerate. Thus, we love to rest and hate to move so much, that we do not make a single movement if not for the attainment of rest. That is because our root is immobile but at rest, and no motion exists in Him whatsoever. Therefore, it is against our nature and loathsome to us. By the same token, we love wisdom, strength, and wealth, etc. because all those exist in Him who is our root. Anyone whose nature is the desire to receive yearns for pleasure. Pleasure is attained only when there is a desire as well as the filling of that desire. If I want something and I don’t have it, I suffer. If I receive what I want, I enjoy. A state of pleasure is called rest since I do not need anything anymore; I have want I wanted. This is the reason that all of nature aspires for rest, for one unified straight motion, which means as unchanging as possible. This means that I am in a comfortable state. Our desire itself creates such rules of behavior for itself. If the desire feels a deficiency, it is forced to move according to the deficiency and attain what it lacks. We can see that on all levels of nature. 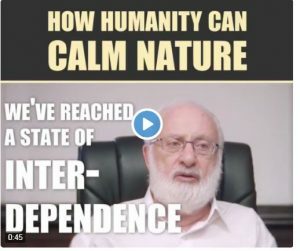 The uniqueness of our evolution is that we have to change ourselves in order to want to resemble the Creator, which is against our original nature, and to act in order to attain this goal by implementing a special method called the wisdom of Kabbalah. We cannot receive the energy to perform our actions by ourselves because the oppositeness of our nature cannot fill us in any way. The only thing we can do is to ask the Creator to help us to change ourselves, which means to change our intention to receive to the intention to bestow. This change takes place as a result of the impact of the upper Light, which comes and affects us and invokes changes in us, making us want to resemble the Creator. But, at the same time, we cannot say which actions the Light performs on us. We gradually begin to perceive these actions that have attributes of the upper system or the upper Light and can perform these changes in us: instead of thinking about myself, I begin to think about others. This is what the upper Light pushes us toward. We will have to change whether we like it or not. Today, we see how the world gradually changes and how life becomes so hard to understand, so noisy, and so egoistic. Humanity feels that something is happening to it and that it has to change somehow but it does not understand what is going on. Families are breaking up, there are serious global changes, etc. All this is happening in order to force us to want to change our attitude to the world, to convince us that we cannot exist in the world within the attribute of receiving anymore because we can only be filled and discover a good way to live through the attribute of bestowal. 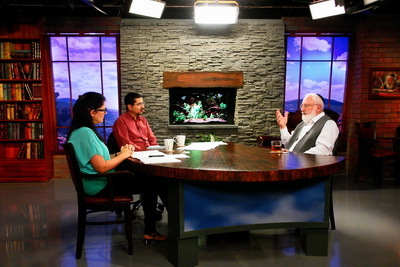 All this indicates that the time has come for the wisdom of Kabbalah to be revealed and to become more popular and more accessible because it is actually this wisdom that explains how to do that in an easy, simple, and pleasant way. Comment: The word “rest” is usually associated with peacefulness, with slow-motion actions, or with motionlessness. Answer: This is not true. Even according to physics and other exact sciences we know that unchanging motion in the speed of light is a state of rest. Therefore, it is not about our state but about the lack of change in the state; if you do not yearn for anything, you are satisfied. A Squirrel In A Cage Or A Human Being? Question from Facebook: What is the reason for the pain that we feel when a loved one dies? Answer: The pain from the death of a loved one is purely egoistic pain, like any other pain of ours. We feel that we are no longer getting something that we wanted and could have received or had already received from him in the past. Question: What is the sensation of pain from loss of a relative for someone who is found on a spiritual level? Answer: There are no losses on a spiritual level! There is only acquisition, elevation from level to level. Question: You were very connected to your teacher, Rabash. How did you feel when he died? Answer: I was not sorry and didn’t cry, but there were other students of his by my side who cried bitterly. Question: Was he like a father for you? Answer: He was the closest person to me, but I felt that his transcendence was happening and there is no loss in that. He himself decided to go like that and I felt this a few days before then, even though he absolutely didn’t show any signs. He suddenly had a heart attack and that was it. Question: Is this the approach to pain about those who died? Answer: A blessing for the Creator is the most correct approach. We need to move from feeling our world through the physical body, to feeling the spiritual world through the soul. We will then understand the truth and it will seem that nobody has died, that nothing has been lost, that we are all together; we only need to attain this mutual feeling. Question: I am a chemistry scientist, and don’t understand how Kabbalah can be connected to science. It seems esoteric to me. Why do you say that Kabbalah is a science? Answer: It really is difficult to understand because Kabbalah is not a science of this world. Everyone can study the science of this world without any internal change, since our inherent material qualities are sufficient for it. Kabbalah is a science, but it studies the upper system that governs our world. Therefore, first of all we must understand the language in which it is written. Then we need to find out what is behind each word and each definition. Only then will we begin to penetrate deeply into this science and study it. Obviously, the knowledge of chemistry or of some other material science won’t help. It may well be that the simplest person, who is far from science, will have a propensity for Kabbalah and a desire to study it, and a great scientist will understand nothing and won’t be able to approach it. Question: What is this system that governs us? Answer: The upper system is a network of forces that governs our entire life, the universe, and each of us. This is a huge, multifaceted network of forces that pervades the entire reality and binds together all of its elements. Our universe is in a particular place that exists by itself, although we don’t feel it. And the stars, nebulae, and other cosmic objects are located inside this place. They all exist in a close connection with each other. Imagine what would happen if they all weren’t bound into one network, what chaos would reign in the universe. Exploring the universe and nature in general, we find out that everything in it operates according to strict laws, as it is written, “The law is given and cannot be transgressed.” The wisdom of Kabbalah studies this entire reality, the network of forces, and most importantly, finds out for what purpose everything is created, in what form humanity and the universe in which we exist are developing. Question: Are we part of this reality? Answer: Of course, we exist on Earth that develops in a certain direction and fly in space thousands of kilometres every second along with our entire universe. The wisdom of Kabbalah speaks about this entire reality. Modern science is a part of Kabbalah and exists within certain limits that are set by a given nature of a person. For example, Einstein discovered that by changing our angle of view at reality, we change it. Kabbalah goes even further by saying that if we change a person, his inner qualities, then the reality will change. However, how is it possible to take a screwdriver and adjust something in a person in order to adjust him in a new way and to let him see the new reality, the new world, in his new qualities? The wisdom of Kabbalah allows us to do this! Question: What do we need to change in ourselves for this? Answer: We don’t need to change anything, all the changes are done by the force that is hidden in Kabbalah, the force of Light, the inner force of the whole reality that affects a person and changes him. Why did our teacher Moses divide the people of Israel into tens, how did the ten authors of The Zohar attain spiritual advancement, and what does work in a group of ten symbolize in the study of the wisdom of Kabbalah? The society of the authors of The Zohar was ten; they reached connection and love on the highest level possible.